Rawdon...you seem to have discovered the joys of photoshop! Nice one! Got to have some fun with it. 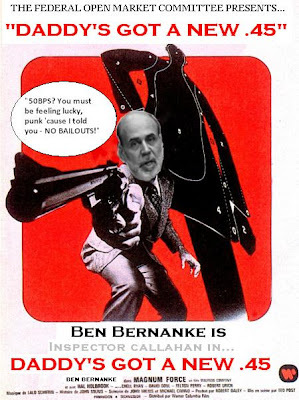 Course, I doubt Mr B is about to pop a collective cap into the Big 5 US investment banks. Think of the little people. And isn't that what the "constrained discretion" approach is all about?